I was on the lookout for a fun vacation read. I needed a break from the endless stream of work related reading and this book, recommended by a dear friend, was perfect. 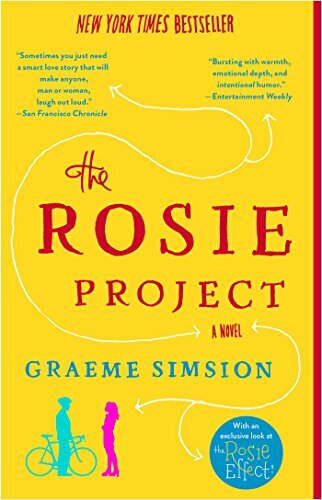 The Rosie Project is a quick reading novel that is funny, quirky and weaves a little science, medicine, humanity and love into you favorite end of summer escape! The character build was fantastic, I laughed out loud (which is so rare for me to actually doing) and enjoyed every minute of this book. A genetics professor wants to get married, so he devises a research-style questionnaire to find the perfect partner and finds that sometimes, life is just completely unpredictable and amazing. Grab this for your next vacation, or staycation, and enjoy!